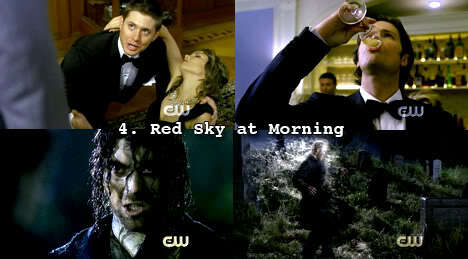 Anyone who knows me, or even reads this blog, will have figured out by now that I am a big Supernatural fan. I mean, just look at the plethora of lists I have done over this summer hiatus (you can see the whole list at the bottom of this post)! But let's be perfectly honest, while I love the show, sometimes some episodes are a little, shall we say, dumb. I tried to find clips of the most ridiculous scene from each episode, but, as usually the better scenes are the ones that people take the time to put on youtube, the resulting clips aren't as bad as I had in mind. I mean, maybe Paris Hilton wasn't as bad as was first dreaded upon hearing of her scheduled guest appearance, but still, this episode really served no purpose, particularly after having such a great one as The End right before it. Such highs, such lows. Honestly I can barely recall what even happens in the episode. Something about actual relics making the things come to life and kill people. And... huh? Look at that, Sam has to get drunk just to make it through this episode about killer sailors and evil boats and hands of "glory." The one thing I will say is that water special effect there at the end was kind of awesome, but really! The best part of the episode was the old lady making moves on Sam. Who can blame her, obviously, but... really. Ghost ship. And they aren't even on the ship, which might have been cool, X-Files style. Rather, the ship just appears in the harbor and then whoever has seen it dies from drowning... or something. And then there was the hand of glory too, to top it all! It was convoluted. It was ridiculous. It was just plain silly. I must confess, I don't hate this episode with as much vitriol as I know some fans do. Some fans got awful whiny: "There's no Sam!" "I hate Jo!" Waa waa waa. It wasn't really timed very well in terms of the season, either. Jo wasn't received that well among fans, and then there she was, front and center. 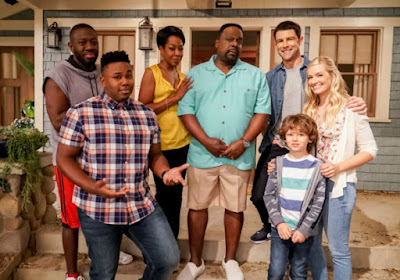 Of course by the time the second episode of season two had aired and people had voiced their opinions, this episode was probably already in the can. But it could've been seriously scary. The bad ghost dude was some kind of wackadoo serial killer! But all he really seemed to do was shut Jo up in a box and make some black sploogey ectoplasm stuff happen in apartments. Pretty sure Jensen thought the episode was ridiculous too, if the outtakes are any indication. He tries to say ectoplasm, but can't keep a straight face. And neither can we. Ha, just looking at those screencaps makes me laugh. "Why is this happening?" the woman wants to know, teary and putting up her hands in defeated despair. "AAH! Racist killer truck on the loose! I'm just going to run around being dumb ok?!" - Cassie. I mean. A racist killer truck. Do I really need to say more? On top of which, Dean suddenly has some secret past love in Cassie, whom we never hear about again, and whom he had little to no chemistry with, love scene be damned. I think I have watched this episode the whole way through exactly once, ever. That is an amazing fact in and of itself, people. I know some people don't hate this episode as much as me. But, seriously. I think my biggest problem with it was the fact that season four was, up until this point, knocking it out of the park. And then there's an episode about creepy wall children and a stupid kid playing with them. What kid would ever throw a ball back to something hiding in their closet?! That would be my cue to run for it, screaming my head off! Some people give this episode a pass because of the side of the road chat between the brothers at the end, but I was also getting rather sick of the side of the road, end of episode, heart to hearts and manly tears. Nearly every episode, yeesh! For me 'Hammer of the Gods' gets that honor. Nothing is worse than that stupid 'OMG we'll bring in other Gods just so that Lucifer can slaughter time without making sense' episode. Yeah I wasn't a big fan of that episode either! Hammer of the Gods was my all time worst episode on Supernatural ever. There were some others that I thought were a little weak or silly but that one -- that was awful, awful, awful. I feel like I'm the only fan who actually liked Cassie and Route 666. Not that I want her and Dean to end up together forever or something, but I felt their past relationship was believable and Cassie seemed like a normal person who reacted the way most people would to the situation. I hate Red Sky. It is such an awful episode, and since Bela is pretty much the only character I hate in the entire series, that made it that much worse. Fallen Idols and Route 666 were not that great but I didn't mind the rest of the list. Actually, I really liked No Exit- not because of Jo but Ellen. I guess I am a fan that doesn't expect a masterpiece every week. Swap Meat ranks as my worst ever Supernatural episode. Not only did it serve no purpose for the Season Five storyline, but Dean, the always look out for my little brother and raised him from when Sam was a baby big bro, was unable to recognize the change in his brother? Yeah, right. Oh my god, BUGS is my all time worst episode ever! 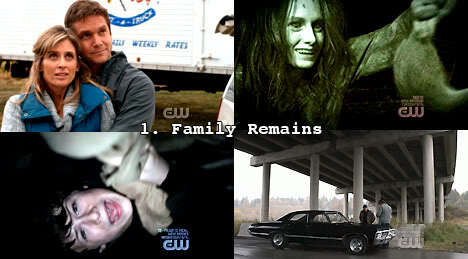 I actually really liked Family Remains, it scared the crap out of me. Also No Exit was pretty okay imo, I loved Jo. Loving all the comments! Looks like Hammer of the Gods and Swap Meat are ranking pretty high among people's most hated. 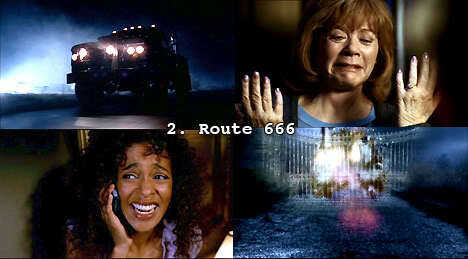 I admit I was trying to keep only one episode from season five in the list, because it was a very hit or miss season. And whoever commented that some of these episodes suffered more from their placement within a season than being bad within themselves - definitely true! Half the time that is the problem! "Hammer of the Gods" was really awful. I mean....what the hell was that.....the guys who wrote it must be hanged and the guys who approved it should be skinned. Supernatural lost many fans because of that. In regards to Route 666, I really enjoyed the brotherly banter in this episode and the car chase at the end, and I didn't mind Cassie either or the Dean flesh (does that make me shallow?). However the mothers rendition about how the ghost truck came into being was a bit exhausting. Disliked Swap Meat, Hammer of the Gods, Bugs, and After School Special much more.